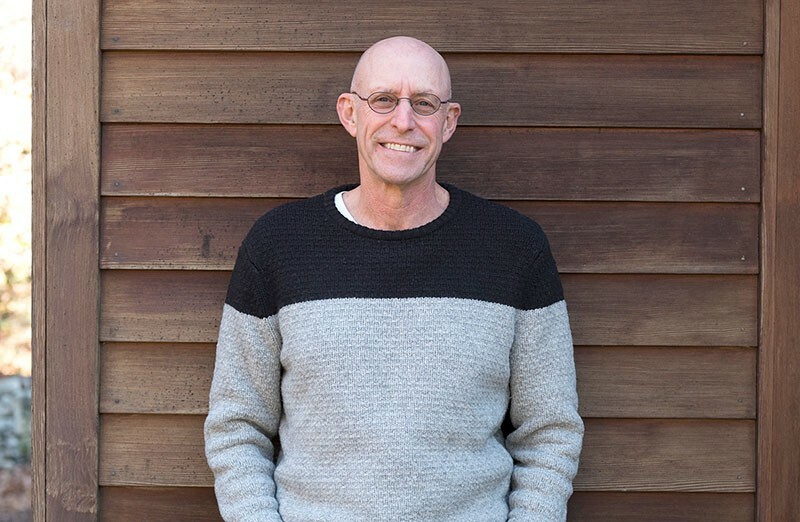 DOORS OF PERCEPTION Michael Pollan says interest in LSD and psilocybin research and expanding his own consciousness led him to write a book on the therapeutic value of psychedelic drugs. Writer Michael Pollan's interests are getting smaller—but infinitely more expansive. Best known for his writing on food and sustainable agriculture, Pollan began his career as a gardening writer with his acclaimed Botany of Desire in 2001. He struck literary gold again with The Omnivore's Dilemma in 2006. His latest work, How to Change Your Mind: What the New Science of Psychedelics Teaches Us About Consciousness, Dying, Addiction, Depression, and Transcendence, is due out May 15 and may seem like a departure for a man the New York Times' called the "designated repository for the nation's food conscience." But Pollan says his latest inquiry follows a certain logic he's traced over his career. "There is an organic progression from one subject to the other," he says. "To me, it's been about our engagement with other species and nature in general, but I tend to be more interested in how we interact with nature instead of simply observing it. Being in nature is a reciprocal activity." Pollan says food is an important part of that reciprocal relationship, but so is the universal quest for altered states of consciousness, something every culture except the Inuit share. Powerful substances in the minds of people is one way cultures evolve, he says. "I don't think we necessarily think about that as our relationship with nature, but I think it is." Pollan says immersion in his subjects and writing about them is another hallmark of his work. That's no exception in his latest book. That's right. He dropped acid and writes about it. Pollan says he missed out on LSD in college, but he has long had an interest in altered states of consciousness, and he became intrigued by medical research in the United States and elsewhere to study the effects of LSD and psilocybin on depression, addiction and other disorders. Given the promising results, Pollan says that within the next five years these drugs "may enter the toolkit" of mental-health therapists. "Social change comes very quickly to this country sometimes," he says, pointing to gay marriage and the legalization of cannabis. On a personal level, Pollan says as he approached his 60th birthday he became open to the idea that psychedelics could expand his consciousness and free up ingrained patterns of thought and behavior. "I started talking to people who had these experience in clinical trials and became very interested in how people's worldviews actually shifted in the course of a single experience. I was at point in life where I was open to that." In the end, he says researching the book was the most interesting experience he's had as a writer, and the most challenging.